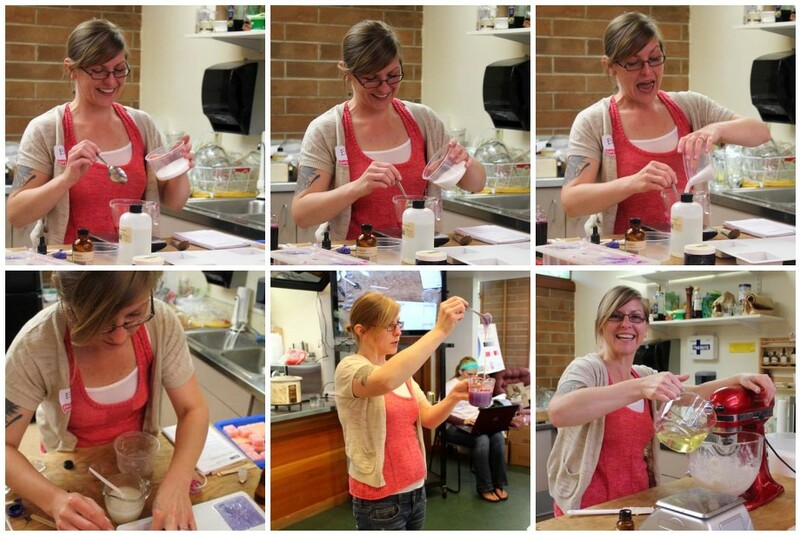 Next, Erin taught us three different types of scrubs: Sugar scrub cubes (using a specially-designed-just-for-SWI mold that students got to keep with two cavities of Heart Sugar Scrub mold and two cavities of Plain Sugar Scrub mold), a Salt Glow scrub, and a Whipped Sugar Scrub. Each of the students got lots and lots of hands-on time with our fabulous instructors and helpers on hand to answer questions. Jill’s hands-on lotion demo was super informative. She has a way breaking down the science behind lotion that is super easy to follow! Lots of “aha!” moments during that session. It happens every year, but finally came the end of SWI and it was time for graduation (sniffle). All of the students headed to Otion for cupcakes, soap packaging, and to receive diplomas. Check out some of the loot (and yes, that is a cupcake wrapper, having just done its duty). Neon melt and pour, heart sugar scrub cubes, calendula bath bombs, and rice milk soap. 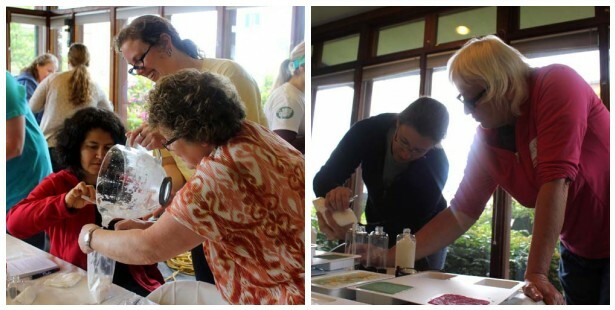 In addition to a sample from every demonstration, students also went home with three different molds, some soapmaking tools, a sampling of neon colorants, and a fabulous pair of pink soap goggles! 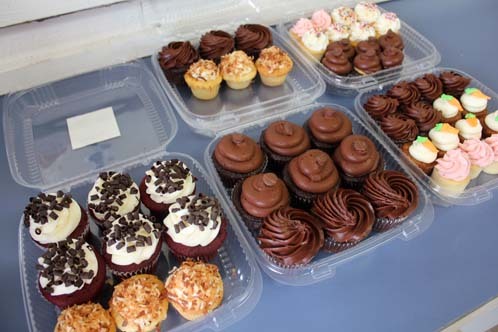 Cupcakes from one of my favorite places, Icing on the Cake in Bellingham! Thanks again to our fabulous instructors and wonderful students who traveled from around the world in order to make this year’s Soap Weekend Intensive the best one yet! And remember, if you have any ideas for next year’s festivities, be sure to let us know!. That’s a wrap! Your child is really sweet! Love his eyes :). This was such a fun time! Thank you again for having me! The students were awesome and the BrambleBerry support team was amazing! They really made the classes go smoothly! I’m always envious of all the participants! 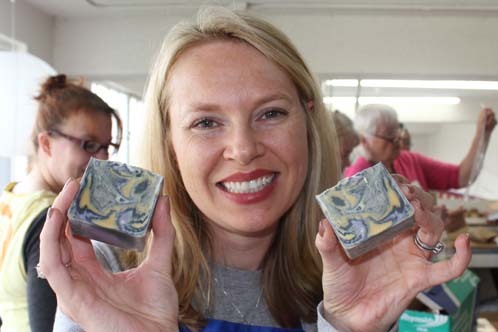 What a wonderful and fun-filled venue to learn how to soap. Enjoyed the weekend. It was fun and informative. Thanks to all whom it possible. What a GREAT weekend!! 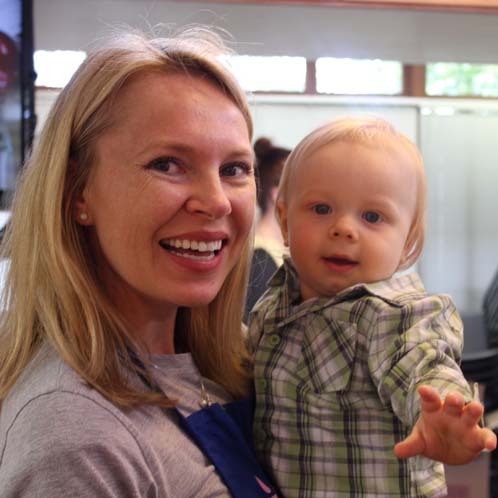 Lillian and I are both so glad we were able to attend. 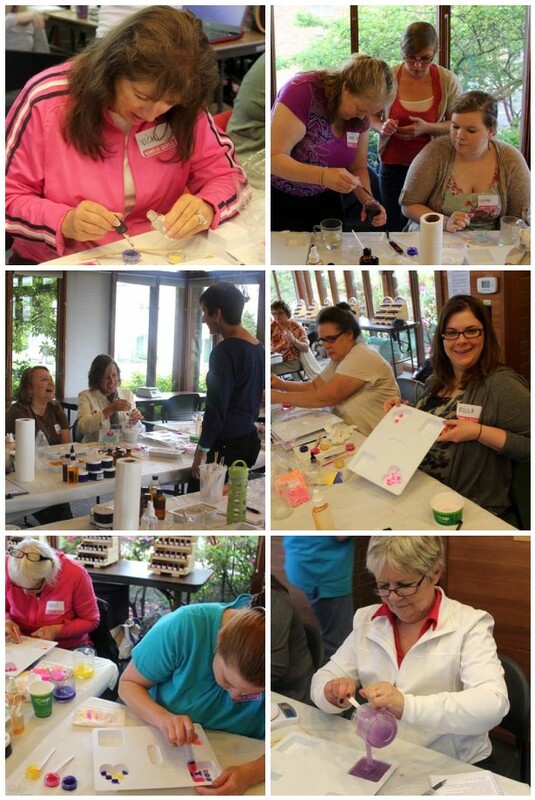 We learned so much and returned home with some wonderful aromas and beautiful products which we can’t wait to try! Thanks so much for everyone’s long hours and hard work to make it all happen. It was great to put faces with names of the team I have had contact with through email or by phone. Will send photos of our cut cold process soap along with the survey forms from the weekend!! We fell in love with Bellingham also!! Had a blast. Thank you so much for all the effort everyone put forth to make sure we all had a great time and took with us a ton of knowledge! Looks like you guys had a great time! 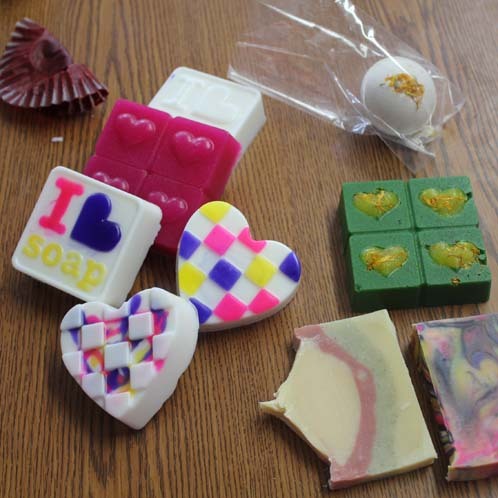 Fantastic looking soaps! So you started with a sweetie and ended with sweets! Congrats on a successful weekend!